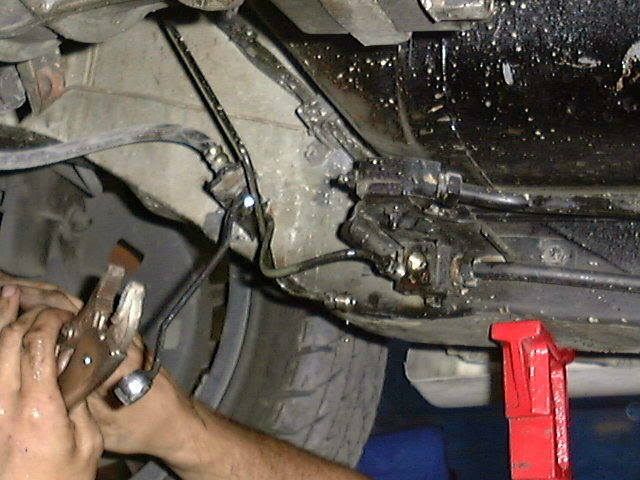 The purpose of this mod is to take the play out of the hydraulic clutch on the S13. When you install a heavy aftermarket clutch, sometimes the hydraulic system struggles to handle the added pressure when you depress the clutch pedal. This is evident when the clutch has been fully bled but still doesn’t want to disengage all the way. For some this mod is done purely because they like the stiff, live feeling of the pedal afterwards. You have a closer connection with what your clutch is doing. 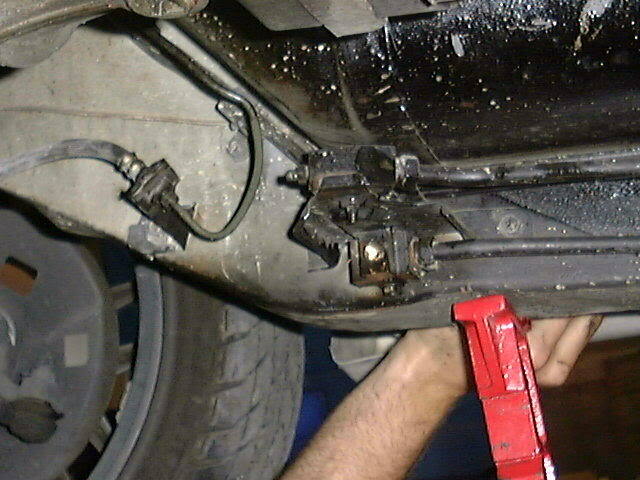 *NOTE* I must warn you, before doing this, that you could seriously screw your clutch system up if you do this wrong. If you don’t have access to replacement hard lines, you may want to reconsider bending yours until you do. As always when playing with brake fluid, be sure not to drink it or get it in your eyes… and keep it off your paint! (it eats paint really quickly) Brake fluid washes out with water. 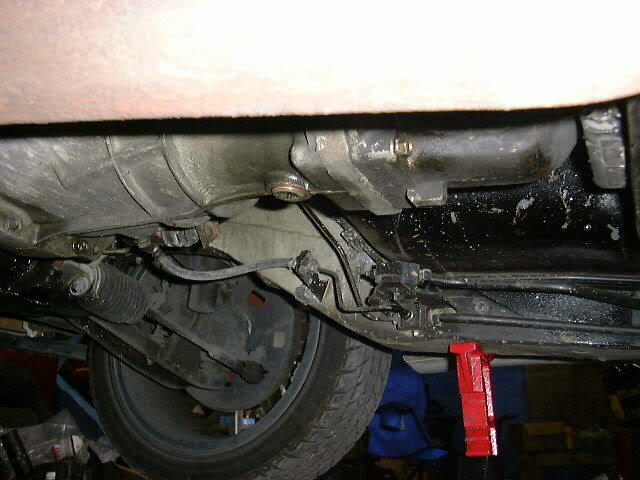 Here you can see the bottom half of the hydraulic clutch system as Nissan intended it. 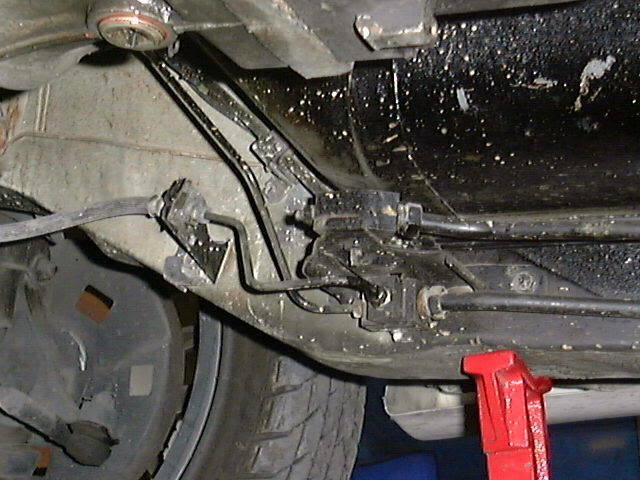 The hard line from the clutch master cylinder comes down to the lower block. This block has a loop back line that acts like a surge tank, taking pressure off the system. This is what causes the weakness. The short hard line then routes to the soft slave cylinder line. What we will be doing is eliminating the loop back and both blocks. Here we are disconnecting all of the hard lines. 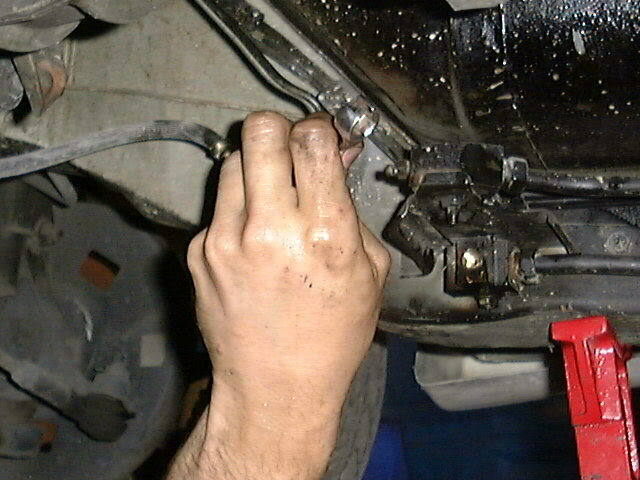 After removal of the short line, take the long line and carefully bend it by hand. Be sure not kink it. You will be turning it around and point it into the slave cylinder connection directly. Now go ahead and remove the loop back and blocks. 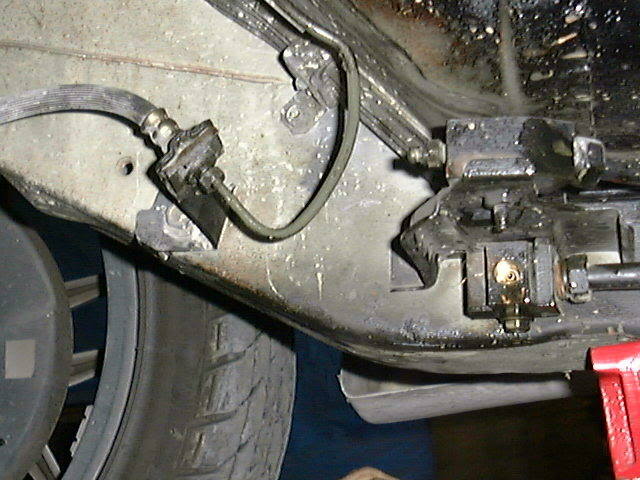 Fill the master cylinder with brake fluid and bleed the clutch line. You will find bleeding this system takes only a few minutes, instead of all day like the stock system.